The silence of the streets of New Echota is broken only by the occasional staccato laughter of children, playing in the now empty capital that serves as a reminder to Georgia of the treachery of the United States government and our own dark history. At New Echota rested the hopes of the sovereign Cherokee Nation. Here the Cherokee establish a capital in 1825 and fight to stay, not with guns, but with the white men's printed page, laws and courts. At the museum the visitor can glimpse the culture of the Cherokee before they moved west on the "Trail of Tears". The early 19th century is a new era for the Cherokee. Discarding a traditional clan system of rule, they adopted a government similar to that of the United States. The nation was divided into eight districts, and a legislature established to make laws and approve treaties. Four delegates from each district are elected to the lower house, called the National Council. This body chooses the 12 members of the upper house, called the National Committee. In turn, the National Committee selects the top level officers: principal chief, assistant principal chief and treasurer. During the fall of 1819, the Council begins holding annual meetings in Newtown, a small community located at the junction of the Coosawattee and Conasauga rivers in present-day Gordon County. 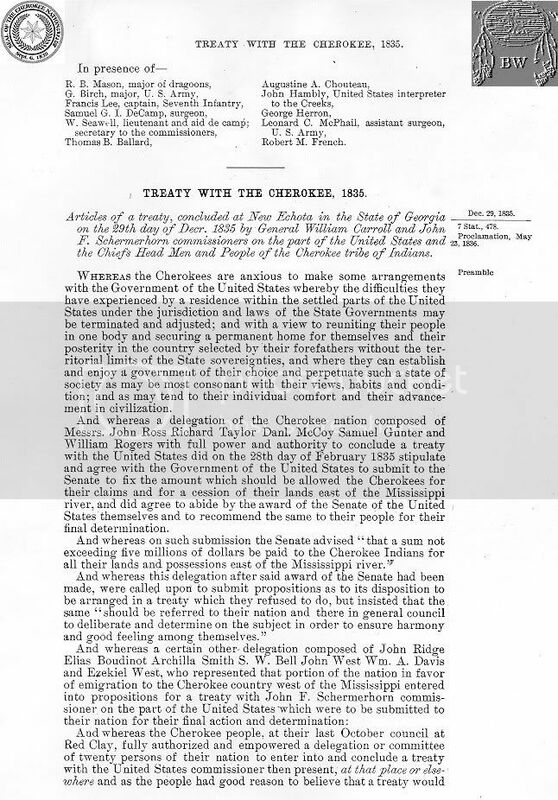 On November 12, 1825, the council adopts a resolution making Newtown the Cherokee Nation's capital. They change the town's name to New Echota in honor of Chota, a beloved town located in present-day Tennessee. 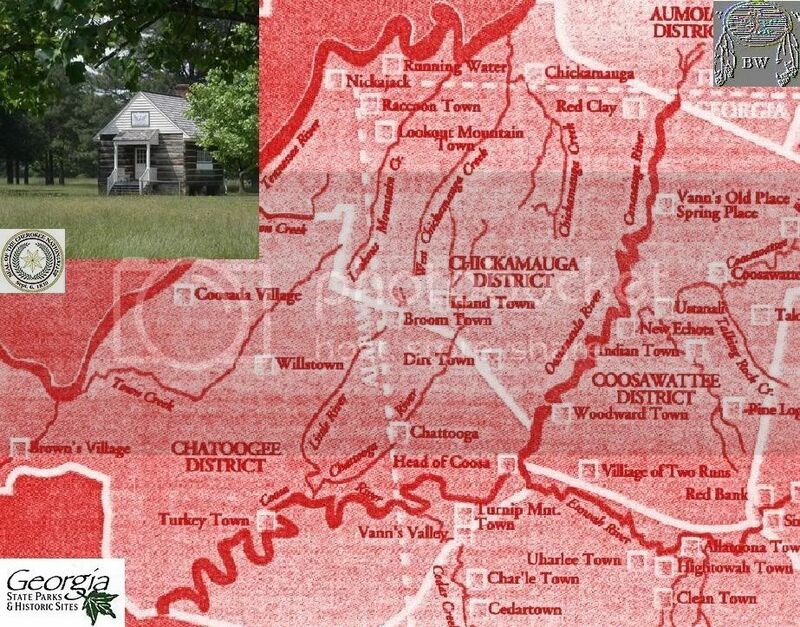 New Echota is a planned community laid out by Cherokee surveyors. By 1830 the town has 50 residents, a main street 60 feet wide, and a two-acre town square. The government buildings, including the Council House, Supreme Court and printing office, dominate the center of town. Private homes, stores, a ferry and a mission station are in the outlying area. The town is quiet most of the year, but council meetings provide the opportunity for great social gatherings. During these meetings, several hundred Cherokees fill the town, arriving by foot, on horseback or in stylish carriages. Included is the reconstructed Supreme Court building and the Print Shop where the bilingual newspaper, the Cherokee Phoenix, was printed. Also the restored Vann Tavern and where missionary Samuel Worcester lived. From: historical accounts & records.